25 years ago, Swedish academic and environmental economist Thomas Lindhqvist coined the term “Extended Producer Responsibility” (EPR). The concept is fairly simple; shift the responsibility and cost for disposal and recycling of products from the general tax base onto producers. Initially, the concept was applied to automobiles, large appliances and electronics. In the simplest of terms, the thinking is, producers will change the design of their products to ensure they are more effectively recycled, creating less waste destined for landfills or other environmentally degrading destinations. Under the EPR law, brand owners must take responsibility for the complete life cycle of their product from inception to disposal. Driven by the polluter-pays principle, EPR has provided the foundation for new administrative, informative or economic policy instruments being developed or already implemented in other countries and by provincial and municipal governments across Canada. Nova Scotia was drawn into the EPR discussion after the signing of a memorandum of agreement in 2010 by provincial environment ministers. The plan was to have EPR in place in all 10 provinces by the fall of 2015. Quebec, British Columbia, Manitoba, Ontario and Saskatchewan have already implemented EPR but none of the Atlantic Provinces have rolled out their programs … yet. Over the past couple of years, the Environment Department has been gathering information on how to adopt such a scheme in Nova Scotia. To date, no clear plan has emerged, however the Minister of the Environment, Andrew Younger has taken pains to say it’s coming, but not before better consultation and some form of economic impact analysis has been completed. None has yet been done. The results of the previous EPR consultations were of concern, as CFIB felt they didn’t adequately represent the views of small business. So, this July, CFIB surveyed its members on the issue, based upon “the British Columbia model” that was deemed “best practice” by the department. The results stated 82 per cent of small business owners were not aware of a new EPR program, 99 per cent said they had not been consulted and 70 per cent said that they were not supportive of the ideas we presented from the BC Model. Interestingly, on October 23rd, at a meeting of the Union of Nova Scotia Municipalities, Minister Younger told municipal representatives when and if they move ahead with EPR, Nova Scotia’s program will look like the BC’s, which is not particularly comforting. He also floated a couple of trial balloons about exemptions including a “one or two million” dollar “de minimus” (the revenue line under which business would not be captured by regulation), the single retail point exemption and the 1 tonne of paper or packaging threshold. None of these ideas had been brought up before the UNSM meeting. Prior to the Minister running these up the flagpole, the Department’s regulatory framework was working on the premise that everything and everybody would have been captured. When these exemptions were applied in BC, it reduced the number of affected businesses under their EPR system from upwards of 80,000 to just about 3,000. If the Nova Scotia government is going to apply the same standards, it too will have to look at what is the acceptable casualty rate among small businesses. So, why are we making such a fuss? In a portion of the EPR policy that deals with printed paper and packaging, producers or first importers are expected to weigh, measure, record and forecast all of the packaging they sell in their business. If a small business receives goods from outside Nova Scotia, it could be deemed the first importer of goods in Nova Scotia. Let’s take for example a small independent pharmacy, perhaps part of a small group of small town pharmacies operated by one owner. With annual revenue above 1 million dollars, 3 locations and “producing” more than 1 tonne of paper and packaging, this business would not be exempt from the EPR law as Minister Younger has envisioned it. Next time you drop in for a prescription, have a look at the shelves and imagine categorizing all the packaging, measuring it, reporting it and paying a fee to have it recycled. When that’s done, wait for an end of year compliance report and hope that your forecast was accurate so you won’t be fined. Oh, and all of this will be handled by a third party “stewardship” body which is unaccountable to government. It’s not hard to start seeing how the regulatory burden, compliance and cost might become worrisome. 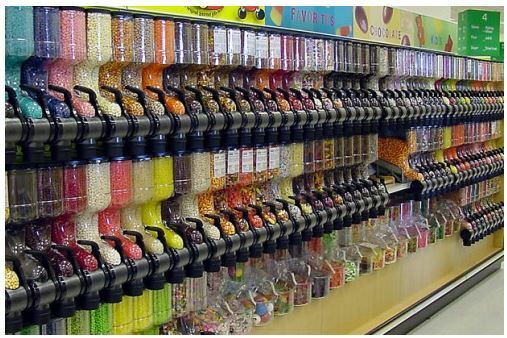 If a small town in rural Atlantic Canada wants a pharmacy under EPR, it might just end up looking like the bulk barn. This new scheme would be piled on top of taxes businesses already pay for the disposal and recycling of materials now being handled through municipal waste management programs. Retailers and franchisees are being hardest hit with EPR, as many of these smaller firms have little or no control over the materials generated. Market forces or franchise agreements don’t allow for arbitrary price increases to offset these additional costs. Nova Scotia is already dealing with some of the highest cumulative business and personal tax rates in the country. Adding more fees and red tape is certain to harm employment and economic growth and put inflationary pressure on consumer goods. The question must be asked, what problem is government trying to solve? 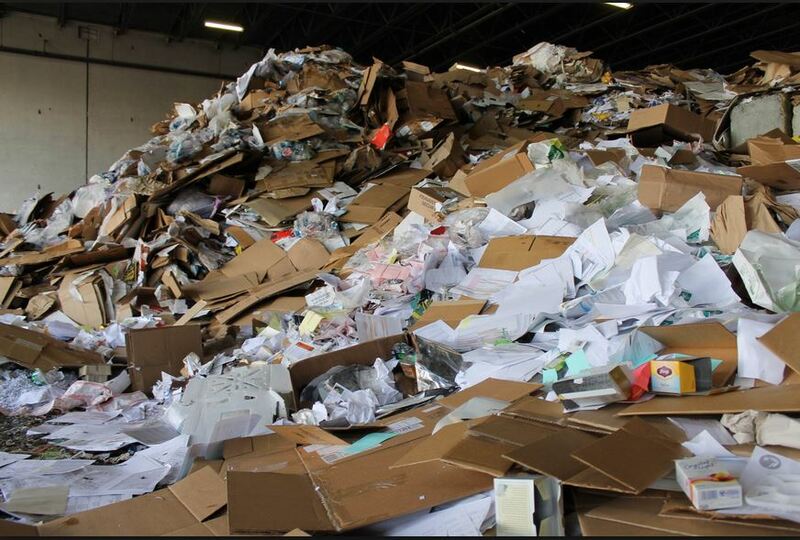 Even if we accept the solution is to shift the burden of recycling over to industry, one also has to understand that small- and medium-size businesses downstream from manufacturers caught in this regulatory maze will be punished for something they have little or no control over. For that matter, at this point, it isn’t even particularly clear who qualifies as a producer. Is it the importer, the manufacturer or the retailer? From the perspective of some municipalities, this is could be a gift from above. With accumulating fiscal pressure, having the responsibility of waste management paid for by business is a release valve. For others, having recycling taken away from them may remove an important source of revenue. One thing is certain, if the government is foolish enough to force further costs of recycling onto small businesses, consideration absolutely must be given on the taxation side of the ledger. Surely municipalities could not expect small business to simply pick up the tab for waste management and not provide commensurate tax relief. Until the provincial government can provide more clarity on the direction it wishes to take on EPR, CFIB will continue to be wary of plans the Environment Minister is pushing. We look forward to assisting small- and medium-size business stay out of the way of the EPR trawler by providing input to government through their next consultation phase. As we are also working with other partners in the Atlantic Red Tape Reduction Partnership we remain adamant Atlantic Canada cannot afford to be walking blindly into a new set of punitive regulations and costs for small business, especially in the current economic environment. Next PostNext History being made in Charlottetown…again.